This Hallowe’en, we present five funny and frightening poems about ghosts, perfect for reading out loud by torchlight. This is the first title in our new range for children of all ages. 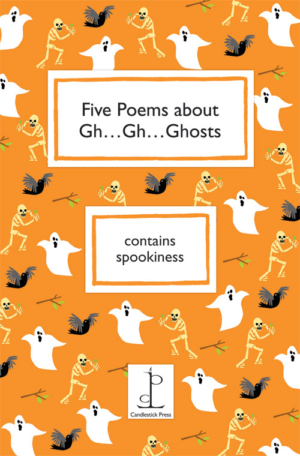 Five Poems about Gh…Gh…Ghosts is for children of all ages and fun for grown-ups too. This suitably scary mini-anthology makes a perfect present for children who like to feel the occasional frisson down their spines. Guaranteed to also tickle their funny bones.